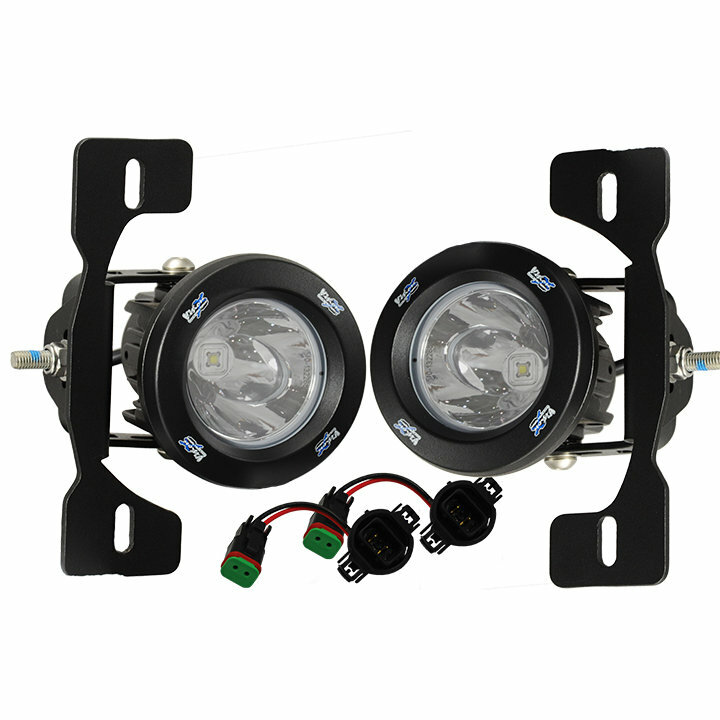 When it comes time to replace your factory fog lights on your Wrangler JK why not go with an upgrade too. Nothing beats a solid pair of LED Fog Lights to cut through the fog and Vision X provides one's of the highest quality. Start with the 6061 aluminum they are manufactured from to the unbreakable polycarbonate lenses, these light will stand up to and last during the harshest of conditions while giving double the light output of your factory fog lights. 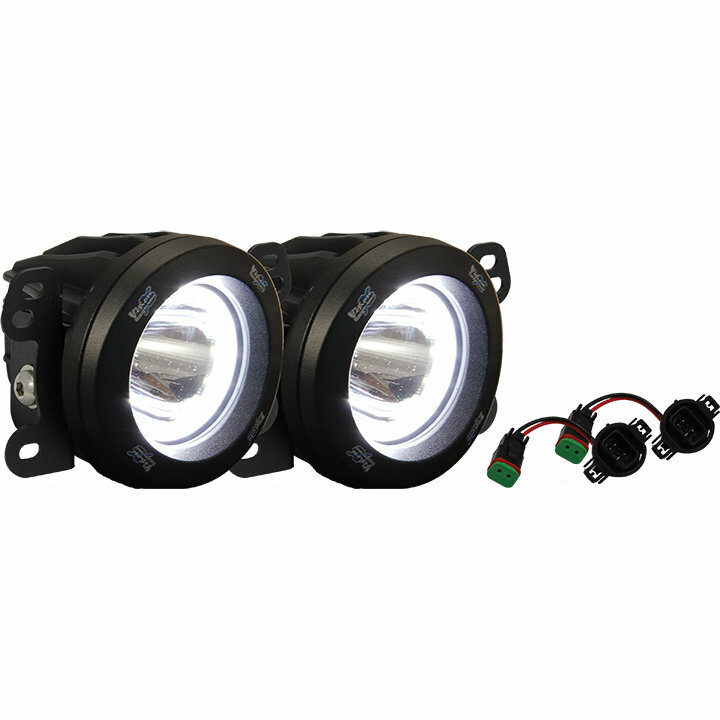 Durability: Constructed of 6061 aluminum to house powerful LEDs giving you double the output of your factory fog lights for the best is visibility. Polycarbonate lenses to protect against road or trail debris keeping your lights safe along with vibrations dampening rubber on the bottom of the stud mounts. Prime Drive Technology: Maximizes the life of your lights by increasing or decreasing the intervals of the LEDs to lower temperature of these fog lights. Installation: Plug & Play installation that bolts directly into the factory mounting locations.